Working across the device lifecycle, we make it easy for IT to manage a diverse array of organization- and employee-owned devices and platforms. From smartphones, tablets and notebooks to routers and point of sale systems, we can help you integrate your software and services to get the most out of your devices. Enterprise users continue to bring expectations from the consumer space into the workplace. That’s a good thing. By embracing a choose-your-own-workstyle model, organizations can boost employee satisfaction — and productivity. See how three companies — Video King, Hall Winery and XL Industrial Services — took a gamble on tablets and won. We offer a huge selection of mobile devices and accessories — all from the industry’s leading brands. Plus, our procurement, activation, configuration and managed services reduce the burden on your team. 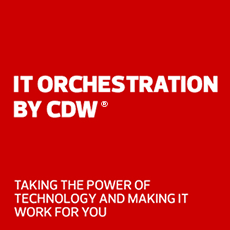 CDW's configuration experts work with your IT staff and your carriers to ensure your enterprise mobile devices are automatically activated, enrolled and ready to use right out of the box. We offer software configuration and imaging services for Windows, iOS or Android, and our tagging, tracking and laser etching services help you streamline asset management. Our Mobility Management Portal simplifies administration of devices, including selection, deployment, expense management and help desk services. Employees can order from a predefined catalog, perform upgrades or make changes to existing services — all in accordance with your internal mobile device policies. DaaS gives your organization fully supported, customized devices for a monthly subscription fee, allowing you to shift procurement costs to an operating expense. We’ll take care of managing technology refreshes, securing your devices, procuring management software, providing help desk services and recycling devices. Our mobility experts have helped thousands of customers craft BYOD and mobile device policies from the ground up — including our own. We will work with you to determine the best financing method for your organization, be it a traditional purchase, lease or through a monthly subscription. Our partnerships with the industry’s top mobile providers give you access to the widest selection of devices, mobile OS and carriers — with top-notch customer service to boot.